Hail storms happen when you least expect them. If your car isn't under cover or, worse yet, you're actually out driving during a storm, your vehicle is extremely susceptible to hail damage. Thankfully, Modern Hail Repair Inc is only a phone call away. 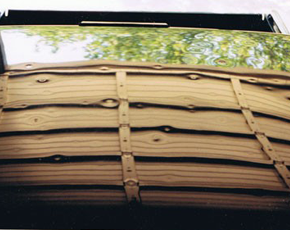 We are the industry leader in paintless dent removal. We have the experience and skills necessary to restore your ride fast and without disturbing your factory finish. Specializing in paintless dent removal, Modern Hail Repair Inc repairs minor dents and dings quickly and cleanly. We stand behind our work, offering a lifetime guarantee on all repairs. 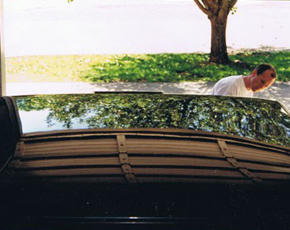 How does paintless dent removal work? Does insurance cover the work? Are there any risks involved? Find the answers to these questions and more by visiting our helpful FAQ. Call to schedule an appointment today and receive a free estimate. Based in Damascus, Pennsylvania, Modern Hail Repair Inc (MHRinc) offers guaranteed Paintless Dent Removal (PDR) work not only nationwide, but worldwide. Jeff Gardas, president of MHRinc learned about PDR in 1991. By 1993, after extensive training and practice he perfected the art PDR. In 2001 he incorporated under Modern Hail Repair Inc. For 2 1/2 decades MHRinc has had 1000"s of satisfied customers. From door dings to dents caused by hail, we can correct just about any imperfection. Best of all, we come to you! One of our crews will arrive within 24-48 hours of your request regardless of your location. We treat every vehicle as if it were our own. Proudly Serving Customers Worldwide and the US, With an Emphasis on the Northeast USA.